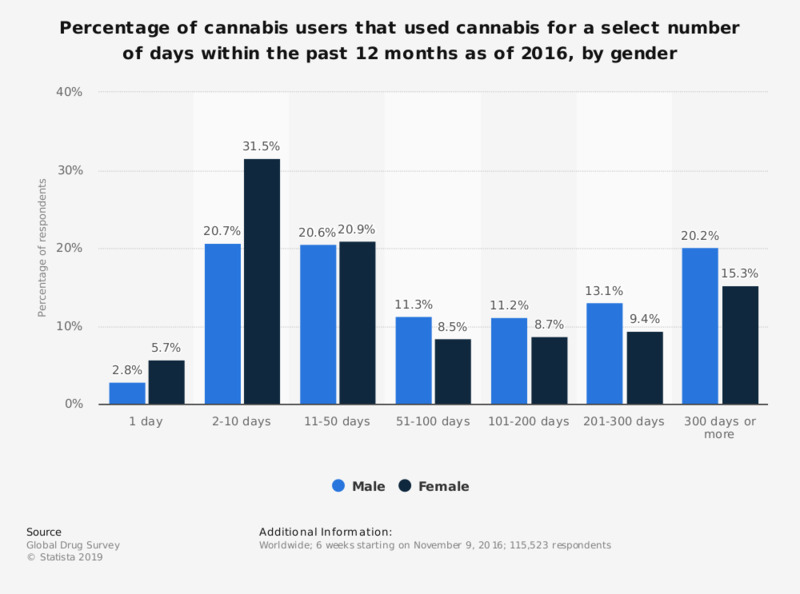 This statistic shows the percentage of cannabis users that used cannabis for select number of days within the past 12 months as of the end of 2016, by gender. According to the data, 20.2 percent of male cannabis users used cannabis for 300 days or more within the past 12 months, compared to 15.3 percent of female respondents. Total may not add up to exactly 100 percent due to rounding.